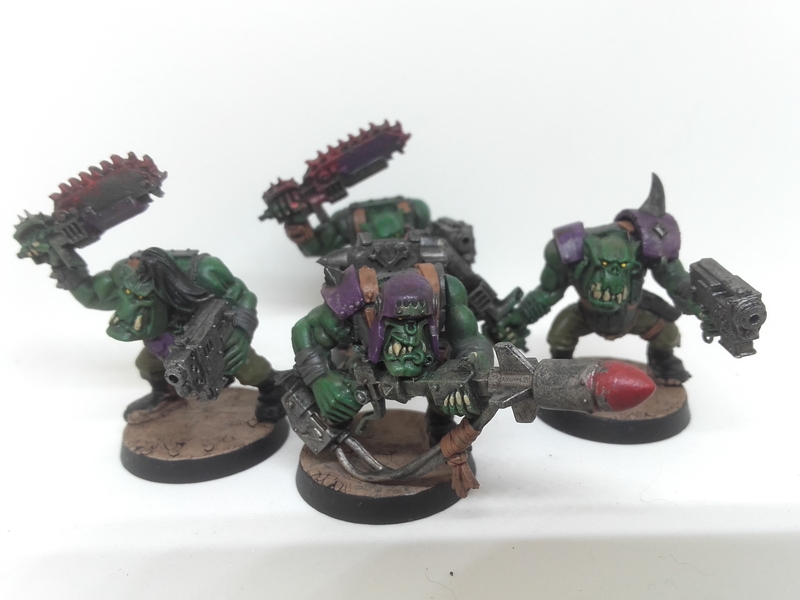 Finally got my Ork Boyz finished off. 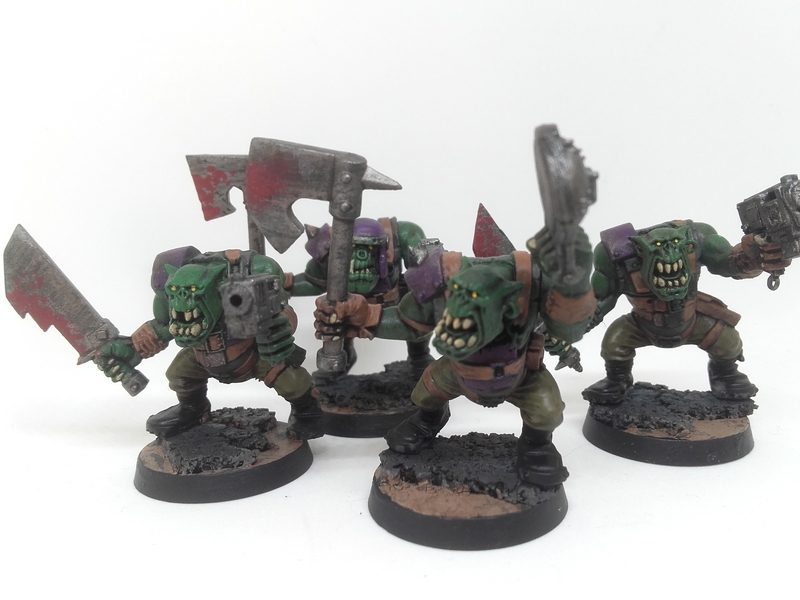 They are not up to my usual lax standards but are pure gaming fodder, but I do like the look of them. 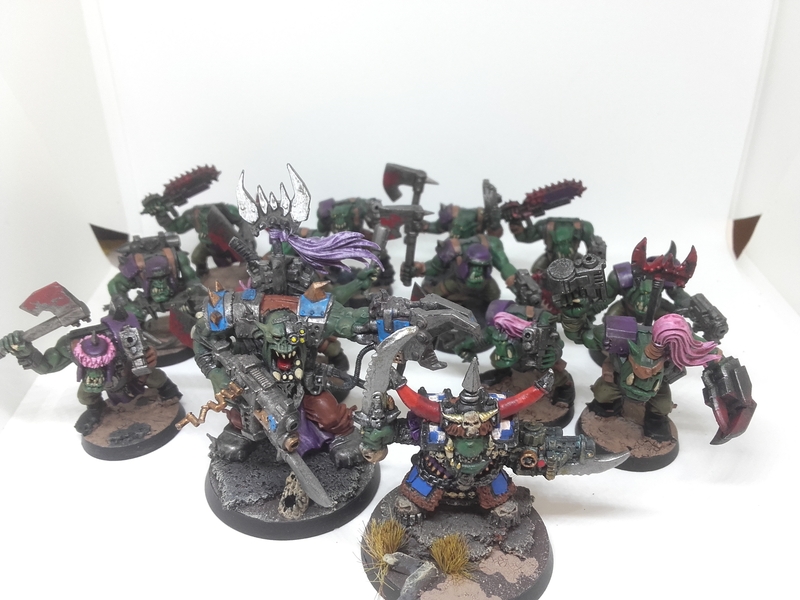 This mob is 12 boyz, one with rokkit launcher and one nob with a boss pole and power klaw. Just a little unit I hope to someday drop in a truck to send zooming across the field to a fiery death, or not depending on 8th. 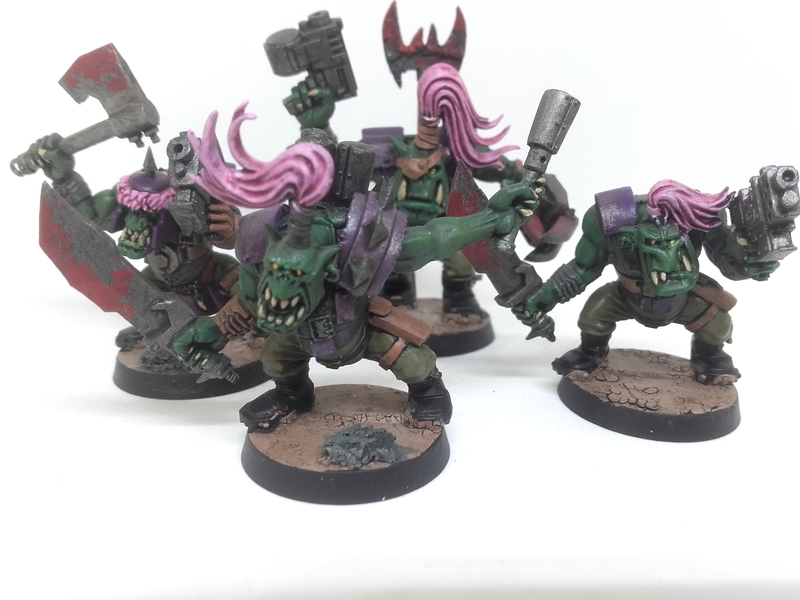 So yeah my eldest asked for them to have pink hair and I couldn’t think of any reason an Ork would care so they got. 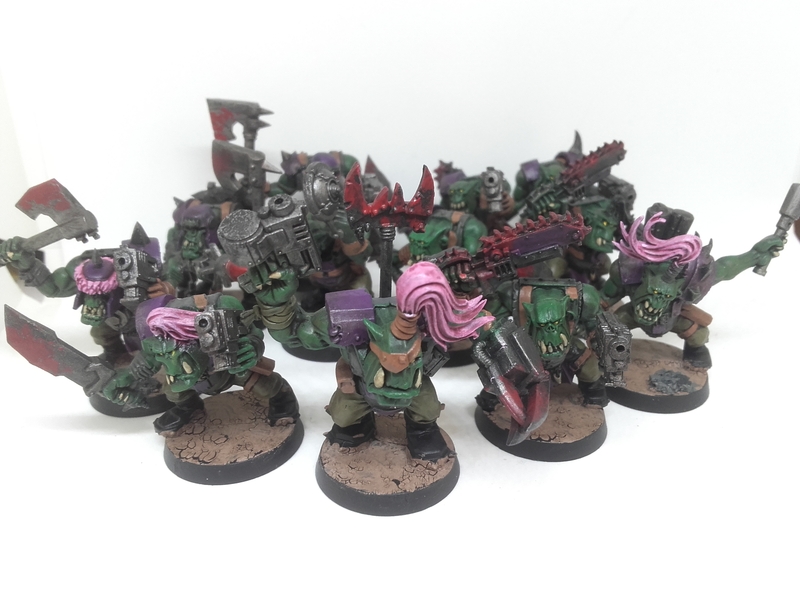 Will help the unit stand out and all, ties in well with the purple armour. As most of the models are made from the Black Reach set I am happy with how they manage to look a little bit varied from each other. This was helped with bits from Silvertabby and tOther. Both of whom have been quiet on the site lately, one is moving house and the other had a newborn. Plus tOther likes to mess with lists and is waiting eagerly for 8th to drop. One last shot of everything I have together and painted so far. More to come down the line! Next up will be another trip down the Eldar memory lane, followed by a Shadow Wars Amergeddon kill team I am putting together.